Getting organized when you move into a new house is priority. When you have the right tools, your organization dreams can come true! I’m honored to be working with OXO, a company I use on a daily basis and love sharing, to bring you this post. It’s officially been 2 weeks since we bought our house! We’ve been painting, putting in new floors, new countertops and a new sink. We still have loads to do and loads of boxes to unpack, but it’s finally beginning to feel like home. It’s still strange to say we have a home, too, having been almost a year that we lived with family. Eee! With all the craziness, the first boxes I decided to unpack were our pantry boxes. A girl’s got to feed her family and for the first few days, we were basically eating out of the pantry. I had a few OXO Pop Containers in my pantry already and was stoked when I heard about OXO’s POPtober! And talk about perfect timing with moving into our new house. 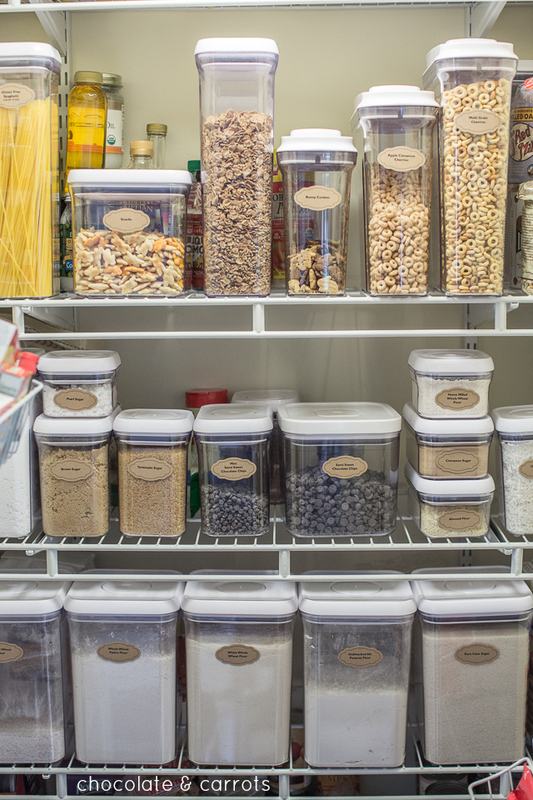 I’m in full-on organization mode and knew exactly what I would fill my new OXO Pop Containers with. Want to see? 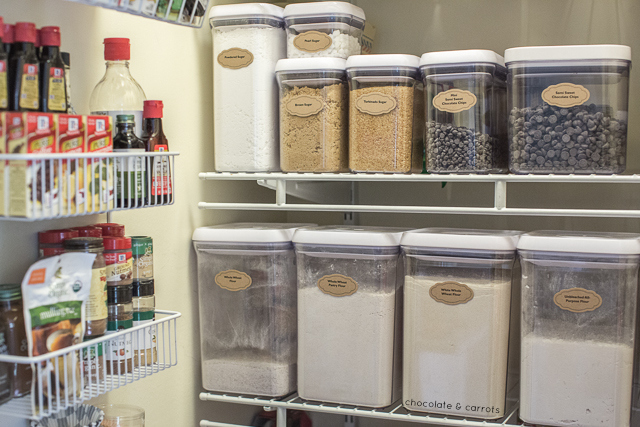 This pantry went from being completely empty to fabulously organized. I even labeled my containers with these for even more organization. And did you notice what I keep at eye level. You caught me, all my baking goodies! I’ve been a big fan of the OXO containers for a few years now and absolutely love their ease of opening (especially when you’re one handed while holding your child and trying to get cookies baked). And also, as you can see, their square and rectangular shapes make it super easy to stack multiple containers on one another. 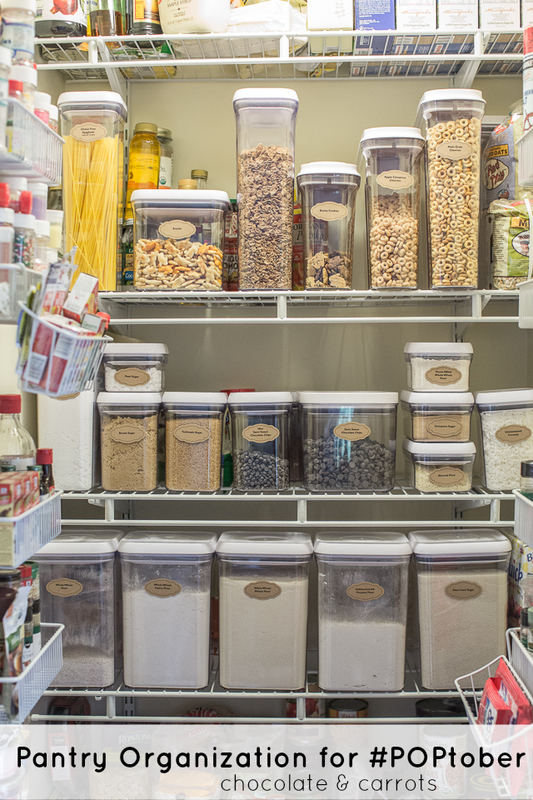 In honor of the new house and all things organization, I’ve created a pinterest board to house all of my favorite OXO products…and ones I wish I had! 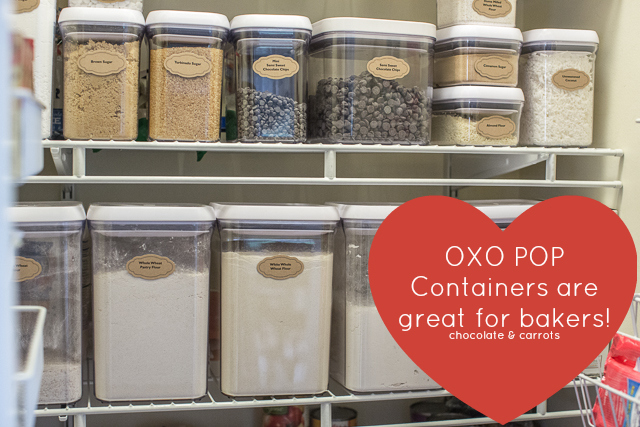 But when in doubt, you can purchase your own OXO POP Containers at the Container Store. Follow Caroline Edwards | chocolate and carrots’s board OXO organization wish list on Pinterest. And if that’s not enough reason to love OXO, they are hosting a Facebook giveaway from October 13th-31st for a prize pack worth $500, including their choice of OXO Storage & Organization tools (up to $250), as well as a $250 elfa gift card. This is a sponsored post by OXO but I did not receive compensation for this post, but received OXO samples to help me create it. All opinions are my own. This post also contains an affiliate link where a small percentage of purchases goes toward supporting my site. Please read my disclosure policy for further information. I would love to be this organized but can’t afford it so would be a nice gift if I win….